Sunday, October 31st, Tom Kenyon, http://www.tomkenyon.com, is hosting the “World Meditation” of Opening the Halls of Amenti and the Crystal Palace Witihin. This is a very powerful time. Tom channels The Hathors, group of very enlightened beings. I decided to listen to his meditation today, and in fact, am doing so in this moment. I hope that each of you will decide to do the same as it is so very powerful and wanted to share my thoughts on the activations in October 2010. This has been a very powerful month and I have changed greatly with each day that passes. Since my trips to Mount Shasta and The Tetons in Wyoming, my life has taken on a new direction but possibly not fully realized in the physical existence. I am feeling that this is going to be occurring more deeply than I ever thought possible. For the past ten days I have had the pleasure of a friend from Scotland whom I met on Facebook to join me in New Jersey for 10 days. He arrived in the States to meet up with his intended partner in Texas. Since his stay here in the US he has been finding that much karma is being released and came to my home in hopes of a reprieve of energies. This was true, but so much more has been happening for both of us. Our own karmic bonds needed to be released as we have been healing much deeper than either of us ever thought we could. In addition, living in my space is very enlightening to a physical being as the Masters and Light Beings reside in my home. Life changes when people visit me for long periods of time. For me, Gav, has opened up the doorway for male energies to come into my existence. I have been spending the last year truly in deep silence with the help of my great teacher, Master Babaji, and it is serving its purpose deeply in my life. Since my excursions out West I have found a new space of Beingness within me. I am much more centered and balanced with a focus of my pure Goddess energies enfolding within my life. I am self assured whereas previously I was so insecure about who I was and not sure how to put my energies out into the world although I have been doing so for almost two decades. I am coming into a new space of Beingness; allowing others to see the true me, being vulnerable as I have accepted love to come to me in many different forms. I fully embrace the Newness of me which is truly the essence of my I AM Presence now enfolding within my physical being. With Gav in my home I am now cooking again whereas previously, I would eat minimal foods while I was sharing my Light through words and helping a few individuals with coaching sessions. I am becoming more grounded within my body and am preparing for the True Love partner to fully come into my life. I am no longer afraid of commitment which I was for such a very long time. I have learned to set boundaries, speaking up when needed and with compassion and love. It is a wondrous time for me. As I sit here listening to Tom Kenyon’s music I am in love with everything I am experiencing and knew it was a moment in time for me. My life has been strewn with great challenges spiritually that filtered through my life physically. I was married to a man 20 years ago that I thought would always be in my life but what he did for me is push me into my deepest healing of myself, and I thank him every day of my life. Thank you, David. The healing path is not an easy one and one who is also very gifted with spirit’s energies, I am finding how many people I am affecting by my words, my light, and my pathway. I did a class last night helping individuals accessing their mediumship skills and every individual received messages from souls awaiting to hear from them. I was told by one of the participants that I paved the way for them to fully access this communication and that makes me feel so very good. I sometimes do not know what I am doing on my calls or classes as I am in the moment, and this is so powerful to hear such words of praise. It is a beautiful time we are living and if I can be of assistance to one soul, than I am doing what I came here to do. I feel so very loved in so many moments and want to share this all with everyone. I am deeply connected to the Cosmic Energies; not just through my voice, but through the integration of Divine Mother and Father God within my physical being. I feel their love deeply and want to share it to every person on this planet. This is what we call Oneness. The beauty of these moments are warming my heart so very deeply. This is what Tom Kenyon has brought to me today, in this moment. Deeply in love with all and sharing with all. Thank you, Tom. Thank you, each of you, that read my articles, blogs, channelings, and share your thoughts with me through various mediums or networks. I love each of you so deeply and hope to have a personal and physical relationship with each of you as we are all Brothers and Sisters of the White Light. I look forward to meeting you some day very soon so I can thank you in person. Today Is October 24, 2010 and I was feeling very out of sorts. My life is constantly changing and my gifts are piling up almost to the point that I am unsure I can handle the load. Yesterday I went to see the movie “HereAfter” and was quite disappointed but some very important points were made to me personally. Mat Damon plays a psychic that has let go of his gift because it took his personal life away from him completely. He is struggling in the world he lives in because the gift is not being realized. The movie was a poignant moment for me. I did not realize this until today, in this moment, how very important my gift is to the world and to my complete satisfaction within my life. I have been on this path for many years starting with psychic dreams, visions, communicating with loved ones lost in the afterlife, then moving onto healing techniques of light frequencies through my body, my voice, and higher vibrations. I am a Teacher and Coach of Ascension energies to help others realize their full potential. 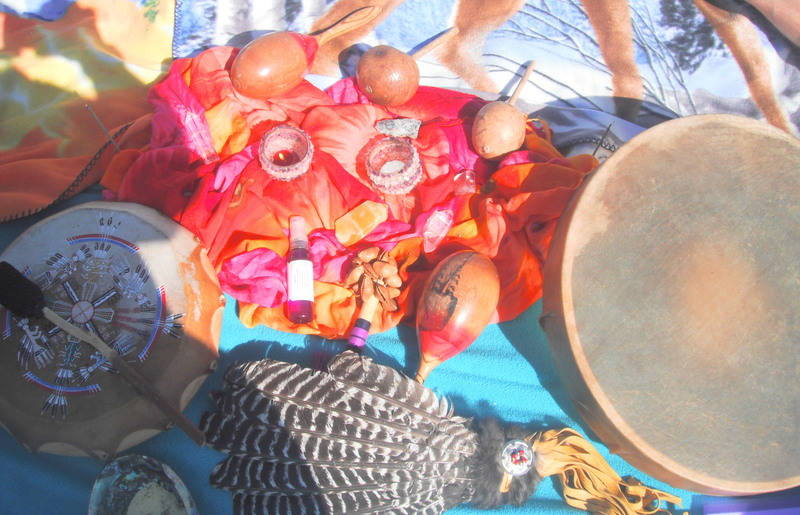 I also have helped with shamanic ways to assist the earth and places of unrest to be cleared. I created the “Clarion Light Beings of 911 & Beyond” eight years ago after the Twin Tower Tragedies so that the souls that had perished could meet for healing from the higher masters and the God Force of Oneness. It is a place where we as humans can meet with the souls of the afterlife to assist the Earth Energies of the Golden Age. I am now a spokesperson for the Teton Retreat during the full month guided by Saint Germain, Master Confucius, and Lanto. I also am voicing the energies of the Cosmic Great Central Sun in a weekly call, “Cosmic Oneness” which is very empowering and challenging for me to bring forward. I have been chosen in this role to be a multi-dimensional healer and voice to others to assist the planetary changes. Today a Face Book friend needed assistance as her mother had passed away in October and she was feeling very upset by the releasement of her mother’s life. I offered my assistance and immediately felt the need to lay down. I did not really sleep but went into the altered states. When I awoke, I went on the computer and she directly asked me for assistance. As soon as I read the email, I knew that I needed to step up to the plate and transmit a message from this dear woman to her beautiful daughter. There was something else that occurred for me. Many months ago I was told by Spirit and the Masters that “my life would never be my own” from that point forward. Today is one of those day’s that is a reminder of this pathway. My soul chose this career path and it is my physical being that tries to deter it from time-to-time due to the loneliness, the immediate need of people, and feeling other worlds simultaneously. It does affect one’s personal life and well, I am no exception to this rule. What did happen to me today is the acceptance of my world. I am a messenger and if someone needs to receive a comforting message, then why do I try and stop it from happening? Why do I want to move up to the mountaintop and let humanity do its own thing? When I am thinking those thoughts, it is because I am not doing the work I needed to be doing and in the moment of sharing this woman’s heart onto her daughter, my heart was healed so deeply. I am honored that I was able to help both of these beautiful people and in turn, allow my Lotus Heart to be fully expanded into a beautiful existence of Light, Peace, and Love. May your day be blessed with a similar occurrence. We are in a forward movement towards creating this planet into a new paradigm of Oneness. As one who has been on this path for over two decades, it is a welcome state of being. I live in the presence of working with Spirit within my physical body as I find it assists my full potential and create a sense of well being within my life. I am in a state of Cosmic energies every moment of my life, but it has not been without great pathways that have gotten me to this state of being. Channeling as always been my best ally and even before I started doing voice channeling in the 80’s, I was always very connected to Spirit. That connection has saved my life and put me into the consciousness I now incorporate within my physical being. It is how I have grown and learned how to help others by accessing my spiritual knowledge from my I AM Presence. Dr. Joshua David Stone gave me the tools that I needed to understand this process, but I was already on the path before I picked up his books. My immediate impression was that it was difficult to understand and rightly so. I was thinking from my lower mind and did not even know about the higher mind. I then started to understand about the initiations of mastership and putting them into practice. Although at the time, I don’t think I concentrated on what I was experiencing and saying that it was due to the initiation level, I was incorporating. All of the challenges that I put in front of me helped me to get to where I am presently. Cosmic consciousness is not something that I ever thought I could achieve. I always looked at myself as a normal person needing to be in a normal job but yet had a sense that there was so much more that I could achieve. I just chose a profession that was spiritually based and was unsure how to go about creating it within my life and for others. As I studied Dr. Stone’s books, attended his Wesak festivals in Mt. 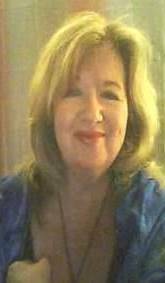 Shasta, and facilitated many different types of spiritual groups in my home, it truly helped me to move forward. Not only were the higher frequencies I was bringing into my body assisting others with knowledge, it catapulted me into an existence within me that I never thought was achievable. I just went forward in my life and continued with whatever Spirit suggested. I utilized and still do, personal channeling for myself which probably could be done daily which I happen to let those moments slide by. The messages that are given to me are very heart-felt and dear to me. They have always been honest to me and showed me the easier pathway, told me when elements needed to change, helped me with relationship issues, and showed me how to move through the challenges. About six years ago, I was renting some space in someone’s house that was full of dark energies. I never let it bother me as I was able to raise the vibrations through frequencies, burning sage, and commanding the golden light. Those times that were darkest were the turning points in my life. At this time, I started channeling the Heart of God in my bi-weekly ascension group and privately. Then it moved into the Will of God. I never analyze anything and just move through the energies. 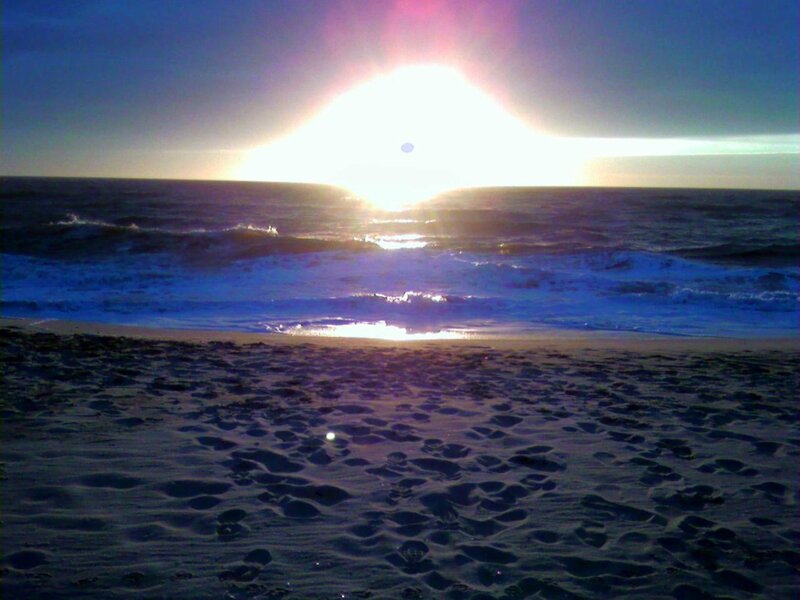 On my birthday, which is December 31st, I was in Cape May sitting on a rock by the ocean and received my I AM Presence fully within my being. It changed my life. It was at this exact time that the energies of the Cosmic Great Central Sun also known as Mother and Father God were introduced into my channelings. This happened in my ascension group with about five other individuals in the room. The energies were very powerful, loud, and my body became increasingly cold along with the temperature in the room. My hands would fly around the room causing my rings to fly off my fingers. It was very intense for me as my voice was very bellowing and powerful. Everyone just looked at each other in silence for about five minutes afterward. This happened a couple of times, and then they started communicating to me personally. I was told that I was chosen to be a spokesperson for them and asked if I would accept the challenge. Of course, I said yes. They told me it would take about 18 months to be fully integrated with their energies as just channeling them was not enough. They wanted me to be physically integrated so as I could handle the frequencies much better. They also told me that my life would change drastically but it was necessary for this to occur. In the meantime, my father passed away in October of the same year as my mom, 2005. It was very transitional having lost three family members in such a short span of time. Dad’s passing was easier as I was able to be with him for five days before the actual movement into the Spirit world, and channeled the angels and talked about Mollie. As a result, I became very ungrounded most days of my life. I had a job that did not require a lot of interaction with other people so I was put in the right place. I was alone most of the time which was also a help. My food changed drastically to the point that I was not eating some days. I had to remember to drink water and juices to keep my energies up throughout the day. It took about two years for my body to fully accept the frequencies and it did change my life. As a result, I gained weight which has always been an issue, because of not eating. That is finally starting to change for me. At one point, I was going on a trip to Mt. Shasta with a friend and I decided I would quit my job. I contacted some temp agencies to see what the job market was like and made the plunge. Luckily, my parents were not in the physical as I know they would not have understood my leaving a good paying job. The trip to Mount Shasta changed me in so many ways and when I returned, jobs were scarce although I did find work. I was doing some private sessions and had the ascension group twice a month which helped out the financial burden. I felt it was the last journey of not being able to acquire funds necessary in my life. I never felt that I was falling and in fact, it was just the opposite. Spirit truly put me in places where healing was needed for both sides involved. I ended up going back into the corporate world into a position in which I was a proposal coordinator and loved the work. It went so well but I was no longer doing any groups. The individuals in the ascension group fell away so I connected in different ways. 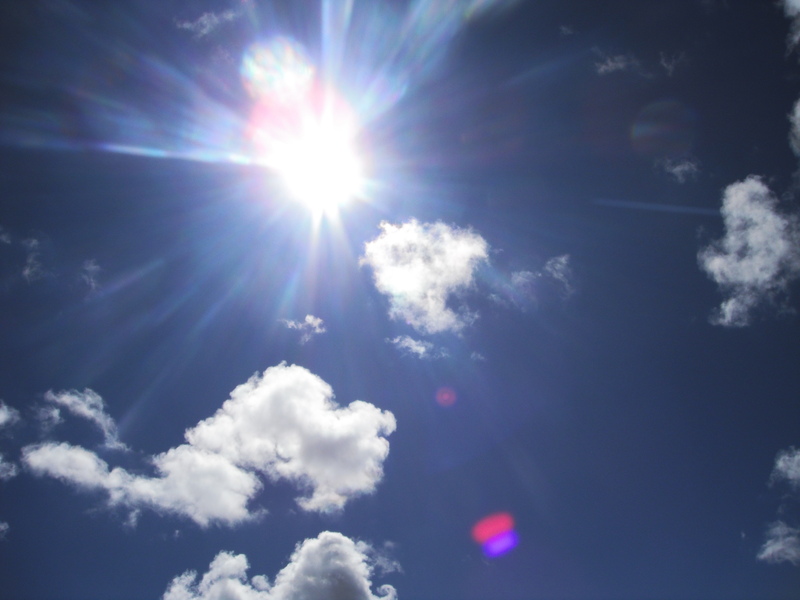 The energies of the Cosmic Great Central Sun increased and I found my life changing greatly. I have been doing a weekly meditation of the Clarion Light Beings of 911 and Beyond which was my outlet on a weekly basis. At the time, I was doing the channeling transmissions via the computer and sending them out electronically. I traveled again to Mount Shasta but this time alone. I was challenged physically so greatly while I was there so it was a very life-changing trip. My body was being purged of all things that did not support me. It was six months later that I had my car accident. I had seen the Angel of Death two weeks before but did not correlate the two in a connection but it truly was one of those times when ‘it could have been’. Life changed for me in my job. The accident rattled me so much I could not do the intense hours I had been working previously. I felt uncomfortable there and spent many lunch hours in a local park just readjusting my energies completely. In October of the same year I traveled to Florida to a friend’s house on a private beach and found a piece of my soul that had been lost since the year before. She came out of the water to meet me and was my Lemurian Goddess energies that had been in Telos, beneath Mount Shasta. That trip was the most life changing event in my spiritual pathway. The energies with the Cosmic Great Central Sun continued within groups and in private. They walked with me every step of the way. My life has changed has I was laid off the corporate job and started promoting classes via tele-conferences. I have been guided every step of the way to incorporate the energies within me and to assist others. Whenever I receive a message that I need to be somewhere, well that is where I go. My spiritual path is the most important aspect of my life. In the past few months the energies have increased for all of us. For me, I am becoming more involved in sharing their voice than ever before. I was asked by the Cosmic Oneness to do a weekly call in which they could speak to others and bring forth the energies. This scared me but I knew that it was not time. I needed to stand up to my end of the bargain. As a result of my pathway, I am quite a loner. I believe this past year needed to happen in this way to guide me to these moments. My trips in the past few months have taken me to new depths within myself. I traveled to Mount Shasta in August, alone again, but this was a celebration. I hiked into places where I would not go alone previously and was fully empowered. It was a wonderful trip. I then traveled with a friend to the Tetons in Wyoming as we were guided to be there several months ago. Little did I know that it would bring me to a place of my “missing puzzle piece”. I have been named Messenger of the Teton Retreat by Master Lanto and honestly, it takes some inner power to even write these words. I totally understand those words now and know that my pathway that has been strewn with many challenges and wanting to leave this planet for many reasons of the initiatory process; is now filled with such enormous beauty and light. I am finding my soul brothers and sisters arriving in my consciousness and life. It feels wondrous as even as a child I felt so very alone within me. I felt I needed to share this story of the channeling of the Cosmic Oneness. This was no easy feat for me to integrate these energies and be able to share their light. It is much easier now as I am attuned to the higher frequencies and I am so very happy that I can share their energies through my being to each of you. We meet weekly at 7 PM EST, Sunday Evenings, 712.4322.0075, #863611, Skype is accessible- Please RSVP meleriessee@lifestationearth.com. You may listen to the Cosmic Oneness calls via my site, http://lifestationearth.com/cosmiconeness_69.html. Written transmissions will be forthcoming. You will find the calls from October 10th and 17th on the page. Please do let me know of your feelings after listening to the recordings at meleriessee@lifestationearth.com. My goal is to be able to travel to others and share this energy in person but baby steps must occur. I hope you decide to join me for these calls. I am a channel but most of all, a Teacher of Ascension. I walk my talk and share with others this journey. Challenges still enfold within my being but life is so much different now. Incorporating the cosmic energies has given me hope, peace, and so much love from so many. I look forward to sharing it with each of you. Today was the most beautiful day that I have ever experienced upon this Earth. The 10-10-10 Portal Activation was a journey that I would like to take every day of my life. I needed to share about these moments before I sleep as I do not want to loose the magical qualities and awake tomorrow with not expressing myself deeply. 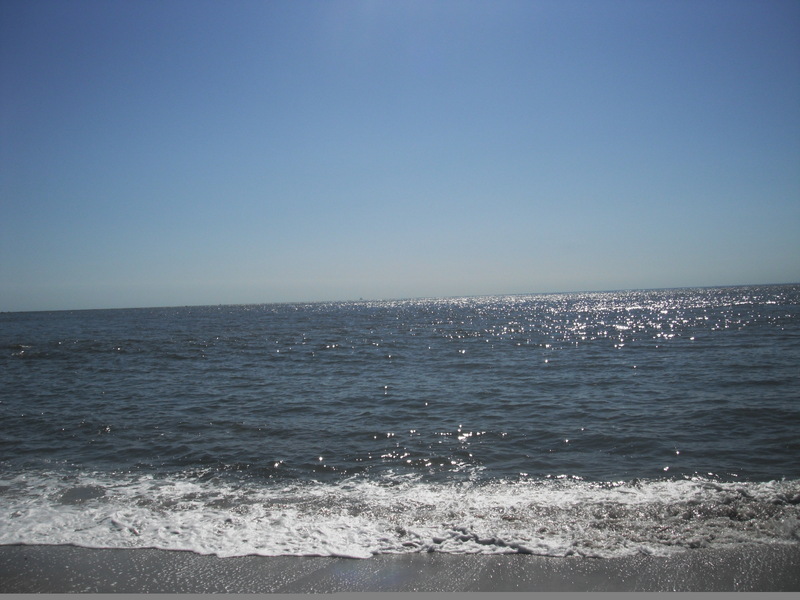 I traveled today to Cape May, New Jersey which is about 90 miles from where I live. The day was amazingly beautiful with skies so very blue and the temperature in the low 70’s. Two of my friends, Kathy and Sharon, took the journey with me and as we traveled the highways to the southern end of the state, we stated aloud to each other what we wanted to release from our lives with an AH-OH in Native American traditions. Then we moved onto what we wanted to actualize into our lives each of us getting personal about the challenges we have been facing. As we drove closer to our destination, our affirmations became stronger with deep conviction. We laughed and felt such joy in hearing each other share our hopes and desires realizing that each confirmation within was for each of us and not just the person speaking the commands of Newness Within. Another friend was meeting us at the beach as he was already in Cape May. I was a little concerned with our timing as we did not get on the beach until 11:30 AM and wanted to be settled for the Noon Activation. It was perfect and in Divine Timing as Mike called me asking about the location. We had just started setting up the Medicine Wheel energies with our prayers and intentions of the four directions. He joined us for Passes 2 and 3 of Energizing the Cirlce, and then Making the Circle Sacred. As we stood in the East, I looked out onto the horizon and was able to see a portal come down from the Heavens into the Sea. It lasted for about 3 seconds, disappeared, re-appeared for another 2 seconds and then was gone. Wow, what a site it was. We then entered the circle in our perspective spots we picked out. I called upon the Spiritual Hierarchy with creating Ascension Columns in each of the directions. We then stated the Soul and Monad Prayer along with the Great Invocation. The meditation was then started with calling upon the 22 Rays of God into each of our bodies and in the land masses to surround a 300 mile radius. Unfortunately, my recorder was out of batteries and I was unable to record the meditation. I believe it was for us to experience personally. We were then told that our bodies would be cleared of all debris within the physical, emotional, and mental levels as we traveled across the water into the portal. It was an amazing feeling to be pulled directly into the portal with spiraling energies of light swirling through us and around us. The butterflies were all around us showing expressing the transformation that we were going through individually, and collectively. I then channeled the Group Consciousness of the Creative Source of Oneness which means the entire God Force coming together. They gave us messages of love and hope individually, and collectively, with the energies that we were about to experience within our lives. Afterwards, I drummed as each of the participants slowly came back into full awareness. Each person shared their experience and how they were feeling. The comments were: swirling light before you said it, colors, and more colors, feeling of lightness, and euphoric feelings of love. We then continued together with drumming and rattles to ground the energies through our bodies. When we decided to finish the ceremony, we stated three “OMS” together and then left the circle in a clock-wise manner. Each of us wanted to check out the water and interestingly enough, the temperature was not too bad. I was really wishing I had gone into the water but time was a factor. 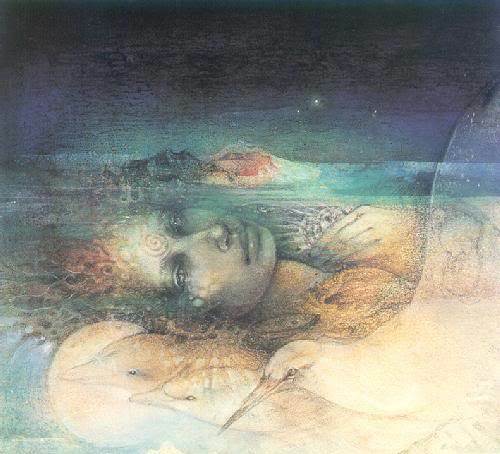 I may decide to travel back down to the water this week to immerse myself in the Goddess of the Sea. Mike had to get on his way so Sharon, Kathy and myself decided to get some lunch before our way home. On our way out towards the main road from the Lighthouse, we notice people taking pictures up towards the sky. 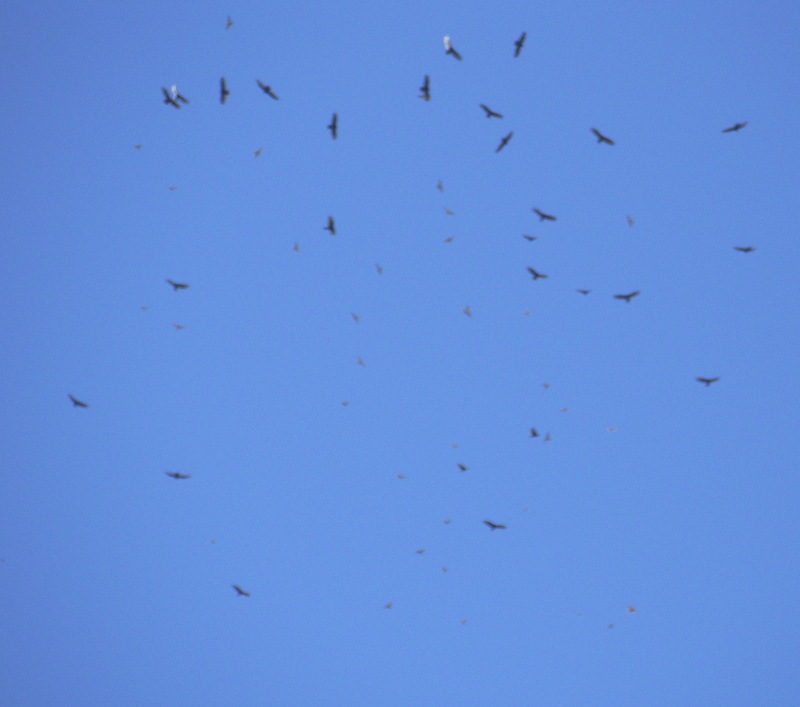 There were eagles and hawks doing a dance within each other. I stopped the car and ran out to take a picture. As I was standing there, I realized that they were feeling the energies of the swirling portal. It was almost like a figure-eight type of movement. It was an amazing moment and quite a gift to receive. We stopped at a restaurant called the Lobster House. It was a delicious meal and then off again, back home to get ready for the call at 6 PM in which I was bringing forth the energies of the Cosmic I AM of Divine Mother and Father God. Sharon got on her way and Kathy sat with me through the call. There were about 25 people that joined us on the call which was another amazing time. I had received information in the morning that the first portal at 6 AM was the Planetary and Solar levels; the 2nd portal at Noon was geared towards the Galactic and Universal levels; and then at 6 PM was about the Multi-Universal and Cosmic Levels. It made sense the that Cosmic energies would come through for the last connection to fully help to ground the energies for each of us. Sharing the link to listen to the recording. For a download please go to my website LifeStationEarth to the Tele-Seminar page. Just a word of caution – it may take us some time to fully integrate all of the energies that occurred today. Embrace whatever you are feeling and “JUST BE”. The Heart of All of Our Hearts is now ONE HEART. It can no longer be any other way. Thank you for joining me on this great adventure we call Ascension. This weekend is going to be the highest frequency of activations that we have experienced so far in the history of this Earth. We are being asked to connect at 6 AM, Noon, and 6 PM to prepare for three different portals that will assist us with our Divine Heritage of Light. In my Monday night meditation of the Clarion Light Beings of 911 & Beyond, Master Babaji gave us some tips on how to create the serentiy and peace that is needed to go through these portals. He states that it is essential for us to be in these places of frequency in order to create the new Light that is enfolding within each of us. We, as the individuals, who are showing the way for others need to move through our pathways to assist not just be teaching or speaking, but by Being. I, as a Messenger of the Teton Retreat, have been asked to provide energies for others and want to impart to each of you the beauty of walking this pathway. This pathway is not easy. Going on these spiritual journeys are very challenging once you return to your residence. Until elements change for me, well, I will intend everything for my highest good. I am sharing this story because I want each of you to understand that we need to find peace within us, every moment, going into these portals. If we take any debris that does not serve our purpose, it will be magnified in the newer energies. So I share with you my recording and transmission from this past week of Master Babaji offerring his asisstance to any individual who chooses to work with him in the next few days. If you know Master Babaji at all, either from channeling or book reading, you will know that he only accepts students that are very serious. He is making a special dispensation this week to work with YOU. No matter where you are on your pathway, he will be there for you. I will be traveling to Cape May, NJ at the point between NJ and Delaware to do a ceremony at Noon for the portal with a few individuals. I urge each of you to get outside if at all possible during these times and intend to be with us. This is a magnificent event that we are all going to experience and I, for one, am so anxious to walk through the new doorway of Light. If anyone is locally located in NJ or Delaware, please contact me so we can meet up with each other. I will also be hosting a call on Sunday evening at 6 PM EST that will be a direct channeling of the Cosmic Great Central Sun, I AM Presence, who will guide us through the last portal. This energy is directed from the Divine Mother and Father aspect and it will make a deep impression upon your heart. Be prepared to integrate your I AM Presence in a way that you have never felt previously. Please Dial In at 218.862.7200, Code #576094 at 5:45 PM EST. We want to be ready for the activation at 6 PM. This will enhance the energies for anyone that are in different time zones and prepare you for your own individual actualization. I would appreciate an RSVP to meleriessee@lifestationearth.com to let me know of your attendance. Since this is a free call – please know I am offering my services and teachings as an extension of the Spiritual Hierarchy from my Heart to Yours. Sharing a gift would be extremely beneficial as this will be a weekly call as I have been asked by our Divine Mother and Father to provide this service to the consciousness of the world. The following calls will take place on Sunday evening at 7 PM EST. Many blessings in love and light. This is Fred speaking. It is wonderful to see you here, and to see the new participants. It is wonderful to see the familiar faces. Tonight it is a very quiet night. There is a lot of compassion and love. I think that each of you are going to be feeling some connection on a different level than you have previously. Due to the changes that have been happening, we are getting ready for the 10-10-10 Activation and the entire Cosmic energy through the Multi-Universal, Universal, Galactic, Solar, and Planetary levels are getting ready for the exchange of energy that is about to come through in the next week. It should be a very momentous time to fully activate ourselves into a new space and being. With that being said, I am now going to step aside and allow our speaker this evening to discuss with you the changes that are happening along with the event this week. Thank you once again for being in the temple with each of us. There are many new souls that are joining us, and we ask for compassion and love to assist these new souls for them to feel balanced. I am Master Babaji at your service. I know that Christine thought it was going to be Quan Yin in which there was a discussion of who would be overlighting these energies, but please know I am not doing this alone. I am here this evening because of planetary activations and the ability to be able to silence yourself with the changes that are going to be integrating through you. Fred spoke about this week being very calm and what we want to do is bring that calmness to each of you. This week could be very instrumental within individual’s lives to make changes within themselves so the calmness is a personal statement. We want each of you to incorporate calmness within you because it may be just the opposite. In preparation of the energies of the 10-10-10 Activations that are going to be occurring in just a few short days there is a uniting of frequencies upon the Earth that are going to be assisting many individuals. As the frequencies are going to be incorporating within the Earth, individuals are preparing themselves whether they are aware of it or not. Preparations are being made for the changes to take place. There will be unification and a transference of Light Frequencies that are going to be fully activated in these moments. And these moments of change are being created, the ones that are unaware within their body may be reacting adversely. Prepare yourself. So it is very important that each of you listening that are activating the energy need to fully understand that the activation coming through is the acceleration of the internalization within yourself. It is an internalization of your I AM Presence, and an internalization of the I AM Presence of the Cosmic Great Central Sun as the creative Sources of Oneness. We are starting to come together. It is in preparation for the tremendous amount of energies that are going to be incorporated upon this Earthplane so it is very important for those to realize the capacity and the love that is going to be occurring. Some may not understand exactly what is happening in their lives but those of you who are aware, we want you to be prepared. So in this moment, I have been chosen to bring forth the Element of Silence. To bring forth the element of peacefulness and enlightenment of your soul. And what truly is enlightenment? Enlightenment of the Soul is the capacity of the acceleration of the Divine Three-Fold Flame within each person to fully accept and transform themselves in ways that they have not been able to do so previously. It is very important that each individual understand on a higher frequency within their physical body. There will be changes that will occur but it depends on where you are in your vibrational essence. If your vibrational essence is more grounded within a physical body, it will be an easy flow for you. If your body is not used to handling the higher vibrations, you may find yourself a little off-kilter when the changes occur. Some may not even realize what is happening at the time of the activation but when they occur, please know that within a three-day period you will see a difference. You will see a difference in how your life is enfolded. What we would like for you this week is to have your intention. Sit down and write what it is you want your pathway to open up with at the end of this year, in preparation for 2011. It is very important that your intentions be very strong because wherever your intentions are going to be, that is what the occurrence that is going to happen as in any activation or ceremony that is being created. This ceremony is being activated from the Planetary, to the Solar, Galactic, Universal, Multi-Universal and Cosmic. And not just one activation that is occurring, this is a huge tremendous portal that is going to open up onto the Earth. It is also important, if you can be, to be outside during this time. Being in nature and accessing the nature, grounding the energies into the Earth, are going to make her energies more balanced. The areas that are not balanced are going to be influctuated with challenges geographically. As these challenges occur, there can be an influction of energy surges that can result in weather patterns, geographic changes, influctuation with the air, fire, water, and the earth. The elements are going to be greatly affected. You, individuals, the Light Workers, the people upon the Earth that have the great awareness are the ones that are truly going to assist because you will be able to be the Light Bearers to bring in the frequency in a grounding rate. So it is very important that you think about this in the next few days, where is your intention and where do you want to be? Wherever you are, will assist the geographic area. As the changes happen you will see fluctuations in these patterns that I am speaking about. I have been brought forth this evening as the overlighting energy to prepare you in the frequency of the Oneness and the Frequency of the Silence, the Frequency of Enlightenment because true enlightenment is peace, joy, and serenity. It’s not the outside circumstances, it is the inner circumstances. I will gladly work with you individually anyone that is on the call, listening to the call, or reading this transmission in the next week. This is a very rare request. I do not work with every individual on the planet. I only work with the ones that truly serious about their pathway but I will assist anyone who puts their request out to me in the next few days up to 10-10-10. So as I sit here in my Dear One’s body. She and I are very closely related and she will tell you that I am not easy. But this week I will be easier than I have ever been before because I want to assist each and every one of you and anyone else that you choose to share this information with. Christine will have this up on her website tomorrow and she will put it out there on Facebook and wherever else you need it to be to get this information out there as quickly as possible so that people are prepared. SHARE THIS WITH OTHERS. Preparation is the key; this is a huge attunement that is coming to this Earth and to each of you. And the Glorious Light that we all are, it is a blessing that we are all here together. So tonight I want to help you to bring in that calmness that is necessary. Why? It is important to bring that serenity and peacefulness within you because that is tapping into your I AM, your Soul Essence, into the Creative Source of Oneness, into the Family of Light that we all are. Not creating the serenity and using your lower mind, meaning your mental activities and your emotional body to try to correlate into what you should be doing in the next few days will not assist you overall. It may help you in one moment, but it can cause you stumbling blocks along the way. As the energy is changing this week there is a growth pattern that is happening for every individual. As this growth pattern occurs, you start to see a change within you, and you will be able to bring forth the frequency that is necessary to assist you in this process. So as you bring forth these energies within you, you start to understand the process that is happening to you; that is what I am here for this evening. Let’s all take a deep breath and let’s breathe deeply into our core essence. I want you to get to the core part of your heart swirling deep within beyond the physical, beyond the emotional, and beyond the mental. To just fully accept the Divinity that you Are. And as you fully accept that Divinity with you, you will start to see the changes in the frequency that is going to occur within your body, your mind, and your spirit. Let us visualize ourselves on top of a mountain. On top of this mountain it is clear. The sky is clear, the air is fresh, it is a warm day, there is a breeze but it is very lightly blowing around you. You don’t feel overtaken by the wind. You feel the beauty of the sun. So you have the sun which is the fire, you have the earth that you are sitting upon, you have the air, and in front of you is a beautiful body of water looking down from the mountain, a beautiful lake. You have all these elements within you. 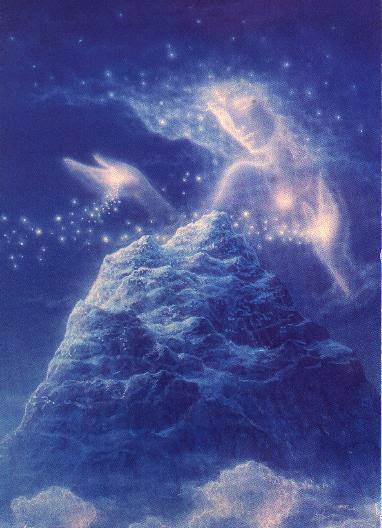 As you sit upon this mountain, you feel the frequency of your Spirit, the spark that you are. Allowing this spark to shine, you feel your heart sparkling with that energy. We are sitting upon this mountain and day turns into night. As day turns into night, there is a spark that reaches out to a star in the heavens which is a correlation with that star. As you sit there, you feel the vibration. Feel the vibration of that star beaming out of you up into the heavens and coming back down to you. It is your Core Essence. This is the Star of your Remembrance. The Star that You Are. Breathe deeply as the vibration of the star comes within you. The vibration that comes within allows you to fully accept the Divinity that You Are. And as you breathe, you feel the expansion. The expansion of your Physical, Emotional, and Mental bodies all becoming One and you feel from that star, your I AM Presence starts to come towards you. Not through your Mind’s Eye, not through your feelings, but within you. Within the Thymus area of your 8th Chakra, the Seat of Your Soul is located. You feel this vibration, you feel this heat sensation. Right within your thymus area and allow that Thymus area to just breathe into whom you are. Breathe into that now and just accept that vibration. Accept the vibration of NOW. It’s not anything else. You are your own vibration all by yourself. Breathe deeply into that area and feel the sparkles of that vibration go through your entire body. It goes through your physical body, your organs, your bloodstream, your cellular memory. It goes through your emotions and your mental thoughts and reverberates as your Spiritual Body becomes the only body there is. You become completely all light. Feel that peacefulness; feel that peace within you as you feel the sacredness that you are. This is your sacredness. This is your presence. Breathe deeply into that allowing it to reverberate through your entire being. There is nothing else that matters in this moment except you. We are stand up upon the mountain and we see many, many souls. The Temple of 911 participants are with us. This is our family; we are our family. We feel the centeredness of the Global Family of Light that we are. We are masters and teachers, students, healers, messengers, and all kinds of special beings that have gifts we share with each other. What really matters is that we are ONE together. And we start together in Unity as we are all One Being of Light. Feel this beam of Light that we are of a unified group of Light Frequencies. We now center ourselves off the Earth more deeply than we ever have before. We travel through the lands, through the waters, through the deserts, we travel through the mountains, we travel through the forests, we travel through the areas that are unchartered, we travel to the areas that need our assistance, and we bring peace to every person, every living element, every tree, flower, bird, animal, and fish so that all are in Unity in this moment. Allow us to feel that unity together. We bring our consciousness back up to the mountain once again and now we have grown because we have included the entire planet. We have included Gaia and we feel her heart essence embracing us as we are embracing her. And we embrace all the inhabitants upon the Earth. We ask the peacefulness, the sacredness, the complete relaxation occur for the people for the Earth in this moment and the next moment up to the moments of October 10th, 2010 so that all beings upon this Earth can receive the energies that they should receive. Because if they are fluctuating too much and they are into their mental minds and into their emotions, they will not receive what they should receive to move to the next phase of the consciousness of the planet. The frequency of ascension of this planet is happening NOW; we are moving into this frequency and allow us, right now, to be the ‘wayshowers’ for those that cannot express this within their consciousness; allow us to feel the peace of the moment. Breathe deeply. I want you to take this peace with you for the next few days and every day think about this peace within you. The more peace that you have, the more serenity, the more strength, and in the final moments you will be able to assist others. Not by doing, not by showing, not by saying, but just by Being. As we are one unified being in this moment we will bring this frequency together. And allow us to fully accept the Divinity that we Are so that we can come together in the frequency of All that Is. In our consciousness of Unified thoughts as we breathe deeply now, we find ourselves back in the Temple. We leave the mountain but you can go there any time to visit and to recreate yourself especially if you are in an environment that you cannot find these type of outside conditions. Let us all look at each other in the Temple as we separate now into our individual selves; there is an essence of peacefulness within each of our hearts that we fully did not incorporate the moment before. And this is the blessing that we have brought forth. It has been my pleasure as Master Babaji to assist you in this process to bring in the frequency of Silence. Think about this week as you sit amongst yourselves totally in nature and listening to the silence of nature around you. It is a wondrous voice to listen to. I am honored and pleased to be your teacher this evening. Please do call upon me this week and I shall assist you and the process of your own self as we work together as we bring Unity to this Earth. Hi, this is Fred once again. Thank you Master Babaji for being with us and showing us the Unification of Your Heart onto our Hearts. It’s been a blessing. Please join us for the week and we look forward to the activations that are going to be occurring very soon. Many blessings and thank you for coming to the Temple of 911 as we all come to together in this unified light, Heart of All Hearts.